Today's post is about a product I've been musing over posting about for a while. Where as this is my own personal blog and I can post what I like, I don't want to post negatively about something, that's not in my nature/personality, so I don't want it projected on here, either. However, I think this is something a few people would agree on given the in between price tag of it. A few weeks ago, I fancied a change of foundation, as you do every few weeks/months of using one foundation for a while, the holy grail shine of it soon wears off on the daily wear! 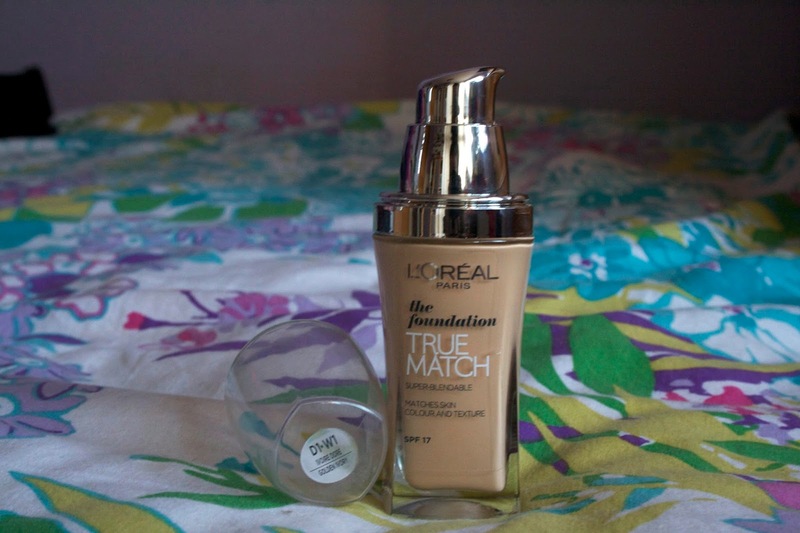 I had used L'Oreal True Match in the past and remembered it being a good consistency, coverage and colour match for me. This was about 8 years ago when I was 15 and completely oblivious about the factors needed in a foundation/make up in general. Oh, teenage me, how blind you were. However, after recently seeing True Match mentioned in some Youtube videos, tutorials & blog posts and the praise it had received, I picked it up in my Boots shop. 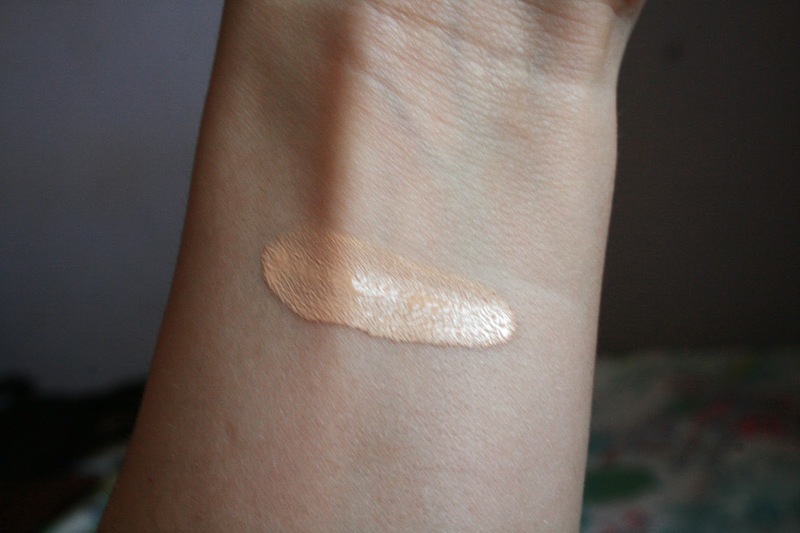 I went for the shade 'W1 Golden Ivory' which I thought, when swatched in Boots was the nearest shade for me. The one up from W1 was very pink/flesh toned, and having red/pink toned skin myself I thought this would not be a ideal match (no shame on the pun front here...)! Now, at a tenner, I think for a high street brand this is quite pricey for a liquid foundation (this might just be me and my end of month bank balance talking here). As most girls, I am always on the look out for a good drug store alternative to save my pennies, or and if I know the quality is absolutely flawless I would happily stretch to pay a higher end price. Mac's Studio Fix fluid is a liquid, full coverage foundation priced at £21, Rimmel's Wake Me Up is £6.99, liquid and a full coverage foundation. Both in very different price brackets but I had got along with both when using them. I think £10 is roughly in between. So at £10, which I would put at the half way mark, I thought this would be good product, especially from a established brand like L'Oreal. Unfortunately, when I tried it on my face the next morning I was proved wrong. Very, very wrong. I don't know how or what they have done to it for such a big change but it was definitely not as I remembered!! It was very watery and thin in consistency, had next to no coverage, could not blend it in to save my life, and the colour. THE COLOUR?! I looked like a Simpson! It was so yellow on my skin, I looked completely washed out! Needless to say I tried everything, had I shaken it properly? Was it my primer? My brush? For ten quid I was expecting a lot better so I told myself I'd either got a dodgy one or not put it on correctly. In the next few days I tried it with and without primer, applied with a brush, fingers and a sponge, with more bronzer/contouring, without contouring etc. Nothing worked and I came to the conclusion that a) it had changed, which is understandable, but why to this?! and b) I had absolutely wasted my money. Now £10 may not sound like much, but after getting so frustrated at it I found myself wishing I'd saved my ten quid (and the hassle) and stretched to £21 for Mac's Studio Fix. 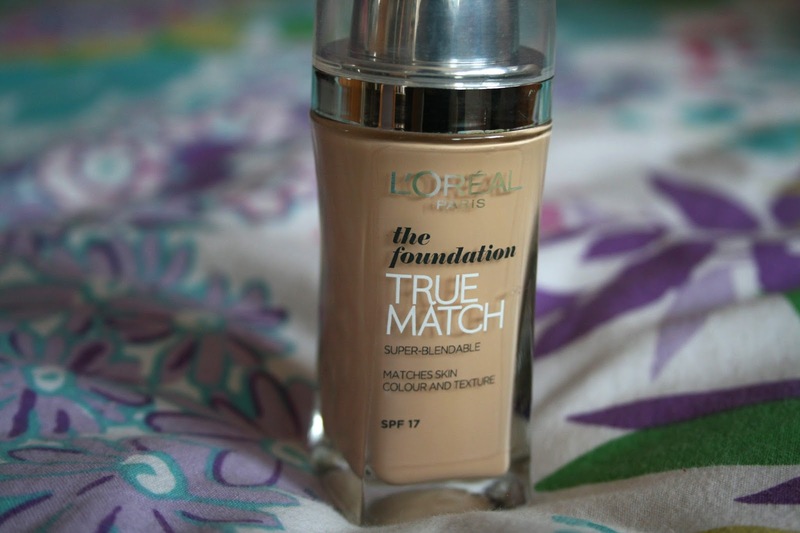 Have you tried L'Oreal's True Match foundation? What did you think of it? Ah shame you didn't get along with it, i've heard such rave things about this foundation!